What does the Diet Evolution have to do with longevity? There's a never-ending diet evolution going on as the history of dieting will reveal! There is also a longevity revolution going on as the history of life expectancy also shows. The dieting evolution is aided by Companies with weight loss products and their powerful advertising and is fueled by a very prevalent belief in the Western world that thin = health and beauty. In the early 1600's, being large was seen as having reserves - it was seen as healthy. This was known as the Rubenesque Period. Take a look back in history to pictures of the Rubens - well rounded, voluptuous and ample. Being as "plump as a partridge" was a compliment. 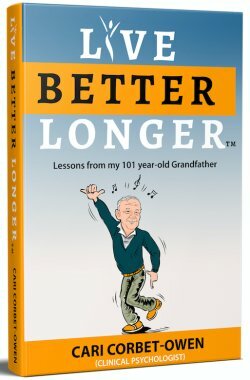 Dr. Mario Martinez, author of the Mind-Body Code who has interviewed almost 500 centenarians says that Centenarians (those people who live to over 100) are "often quite hefty"....or maybe he could have said Rubenesque. The history of dieting started in the 1800's when Sylvester Graham preached that a plain diet (they were to eat what was known as Graham crackers) for women was good for their morality (sexual excesses and civil disobedience) and health (he claimed it would help indigestion, illnesses). It's interesting that dieting was introduced as a way of controlling women through their bodies, but telling them it was good for their health and longevity . It was between 1890 and 1920 when healthful plumpness changed to being thought of as slothful and lazy. Note though, that this was imposed by men upon women. Men could be fat, but they weren't considered slothful or lazy, nor did their sexual excesses have to be controlled, nor did they have to obey. By the 1930's dieting was pretty prevalent as was cigarette smoking...you had the Cigarette Diet - created by Lucky cigarettes which advertised: "Reach for a lucky instead of a sweet." In the 1960's the William Banting diet spoke about corpulence as a physical disability. He introduced - a heavy protein diet - a forerunner of the Atkins diet. The 1970's The Sleeping Beauty diet became popular - so people could sleep off their pounds under heavy sedation. Honestly us humans! Happy to swallow pills with all their side effects and believe a bunch of garbage. But when you're given the message that fat will stand in the way of achieving health and longevity AND it stops you from being beautiful - there's a whole bunch of social control going on. Once upon a forgotten past (it seems) the word 'diet' simply meant: "the usual food and drink of a person". But increasingly, it started meaning taking in fewer calories, or to eat and drink in a regulated fashion especially with the aim of losing weight and attaining that ideal body image. Yet the interesting thing about people who lie to great ages is that they don't monitor calories, they aren't the people who have yo-yo dieted for decades. In fact more often their eating is a fairly relaxed affair based on enjoyment rather than calorie-counting. But after years and of the female body slowly evolving into something increasingly thinner in the media - thin was good, you couldn't be too thin or too rich and diets were the flavor of the month. ALL diets were good, and the faster you could lose weight the better. And slowly the history of dieting for men started to catch up with a change in the male body image. The history of dieting as a means to lose weight became chronicled as an every day part of society, in TV scenes, informercials, magazines, billboards and so on. Weight loss clubs like Weight Watchers started in the 1960's, and Jenny Craig followed in 1985. Then Big Pharma got in on the story of dieting and ramped it up. June 1998 was another BIG turning point in the history of dieting. It was when 29 million Americans went to bed and woke up with a medical condition that needed treating - they needed to lose weight. This marked the point when Big Pharma got in on the act and hoodwinked the World Health Organization into lowering the BMI ranges even in the face of evidence that the ranges should be raised. Hear Health Professor Linda Bacon tell that story in this interview. June 1998 was also when the American Heart Association declared that Obesity caused heart disease. But those healthy centenarians who often carry some extra weight don't often suffer heart disease and other lifestyle diseases. Slowly - as people realized that despite all these dieting efforts diets didn't work and weight regain was fast and furious ...well they started getting a bad name. Diet drugs like Phen-Fen were getting banned even in the face of the diet industry blaming diet failure on their supposedly weak-willed customers. 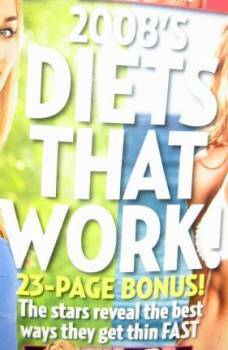 Nowadays magazines write articles about how diets don't work - of course the amusing part of it is that these very same magazines still emblazon their covers with headlines like "Diets that work." Do you think the fact that diets don't work stops them? Heck no! They just do the same old things but change the wording they use to market their products which gives them a different curb appeal. So, for example, we have the increasingly popular 'lifestyle change,' or 'health gain' instead of weight loss. And other plans no longer talk about 'weight loss' but 'fat loss.' It's a bit like taking an old rickety house and giving it a new curb appeal. A fresh coat of paint on the outside can make it look as if it's new house when really the woodrot on the outside is still all there. But from a longevity point of view, an increasing amount of obesity research started showing that fat people lived longest; and that weight was not necessarily the ogre it had been made out to be (see Dr. Lucy Aphramor's interview for much more on this). Slowly moments such as ASDAH (association for size, diversity and health started); the anti diet movement. Intuitive eating, Body Positive movement and HAES (health at every size) started a new wave of thinking. Which are starting to gain momentum. But actually it's what I see as the fourth diet evolution that really excites me. Because it's going to change the history of dieting forever. With the popularity of movies like 'What the Bleep' and 'The Secret' and books like Esther Hicks, "Ask and it is given," and Gregg Braden's . "Isiah Effect", there's also a new consciousness growing about the role of energy in our health and longevity. The more we fear losing our health because of being overweight, the more we block health and well-being flowing to us and the more that stress creates poor health. And the more we hate our bodies the more our biochemicals create health-eroding stress hormones. The Health at Every Size moment and body positivity movements are growing, fat models are being employed and some companies are refusing to use photo-shopping. There's a quantum shift going on in people's thinking that I believe will eventually have far reaching effects in how we look at achieving longevity and health.